I popped up a video on my YouTube channel a few days ago talking through my haircare routine because it had been requested quite a few times! I know not everyone who reads my blog is subscribed to my YouTube channel (which is totally okay!) and I know that not everyone likes watching videos as much as they like reading blogs which I totally get so I thought I'd just pop up a quick post on here. I won't go into too much detail about each product because I ramble for long enough in my video so think of this as more of a little blog overview! In terms of shampoo & conditioner I'm not super fussy on which ones I use. I tend to stick to ones that promise volume and body, although I've learned not to expect a lot because they don't usually deliver. However I find that these types of shampoo & conditioner don't weigh my hair down as much as others. I bought The Body Shop Banana Shampoo purely because it smells like those foam banana sweeties I used to eat by the bucket load when I was little. I remember stopping off at the local shop after school once a week with my Mama and she would let me pick out a couple of penny sweeties to eat after dinner so I guess I bought this shampoo purely for nostalgia. 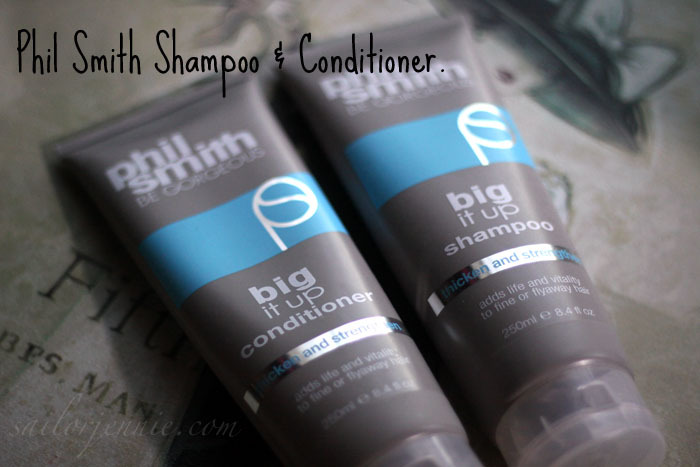 I've had the Phil Smith Big It Up shampoo(♦) & Big It Up conditioner(♦) for a little while now and although I don't think they're anything special I do really like them. The scent isn't anything incredible but they leave my hair feeling clean and not weighed down or limp. 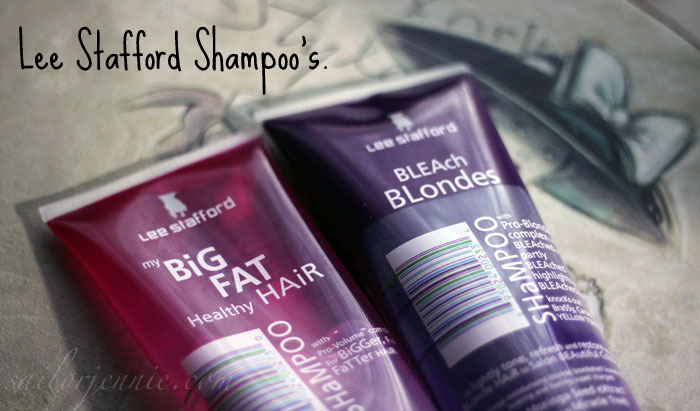 I'm quite new to Lee Stafford's products but I have really enjoyed using every product I've tried so far. My Big Fat Healthy Hair and the Bleach Blondes shampoos are both brilliant products that seem to just work for my hair. Bleach Blondes shampoo is amazing at taking out any brassy tones from blonde hair & My Big Fat Healthy Hair shampoo leaves my hair feeling thoroughly cleansed of any oils and dirt while not stripping it and leaving it feeling limp. I absolutely hate the use uppercase and lowercase writing on the packaging though, it makes me shudder a little bit looking at it! 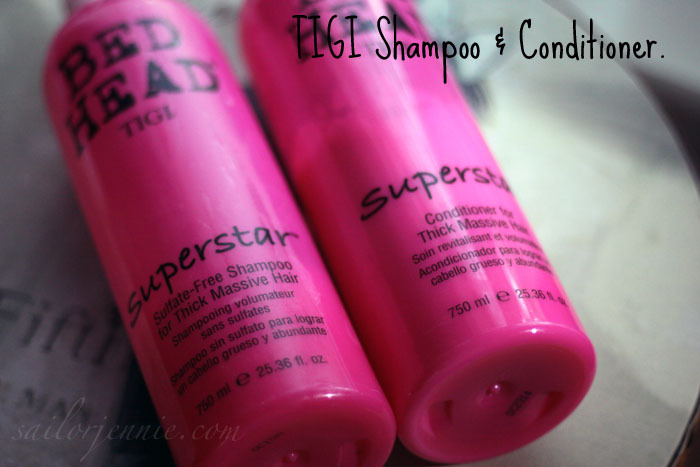 Superstar shampoo & conditioner from Tigi Bed Head are some of my all time favourite hair products. I believe they have been revamped & renamed 'Styleshots Epic Volume' but I have been reliably informed that they still have the same yummy strawberry sweeties scent which I adore. I've had these two 750ml bottles for a long time and they're only just starting to run out but I'll definitely be repurchasing very soon! The only other conditioner I reach for is another Lee Stafford Product and it is the Treatment For Hair That Never Grows Past A Certain Length. I really do love this little pot of goodness and although I haven't noticed a dramatic difference in the length of my hair, it has dramatically improved in condition and strength which I believe is really what this product is for anyway. I've got 4 more tubs of this to get through, that's how much I love it! 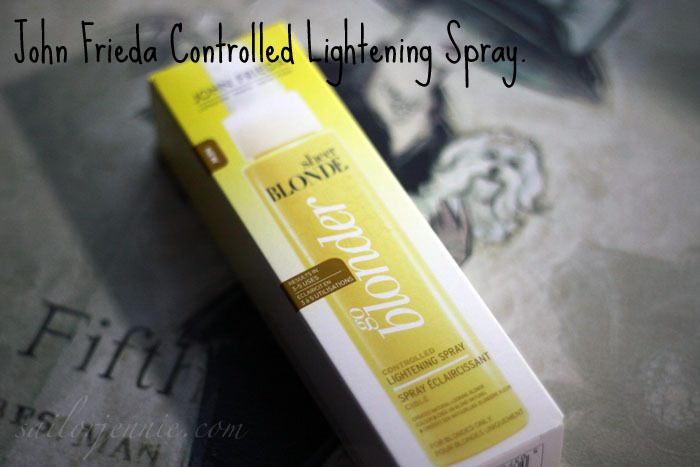 The John Frieda Go Blonder Controlled Lightening Spray is a product that I don't think I will be without for as long as they keep making it. When I bought it I honestly didn't have high expectations but it transforms the colour of my hair super easily - it's foolproof! 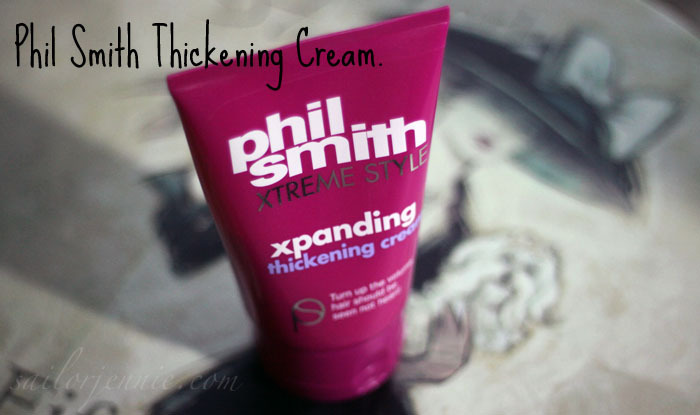 The only other product I reach for fairly often is the Phil Smith Xtreme Style Xpanding Thickening Cream(♦). This does make a difference to the volume of my hair if I rub a small amount in before blow drying my hair upside down so I'll use this if I'm washing my hair in the morning and fancy a little bit of extra volume for the day. I do try to keep my hair routine as basic as possible and other than the products I've mentioned all I do is backcomb my hair. A lot. I don't have the secret to voluminous hair, I don't have the patience to blow dry my hair with a round brush or to faff around with heated rollers. It's backcombing all the way for me, oops! 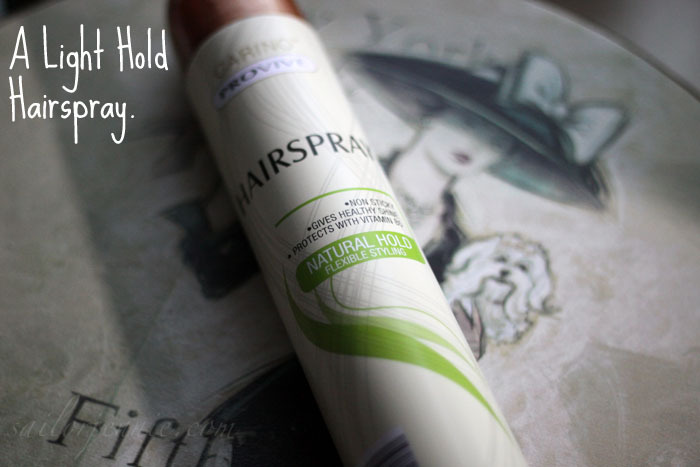 So the only other product I reach for is a light hold hairspray, any one will do, I'm not fussy at all! I opt for a light hold because it's a million times easier to brush out - and yep I know you're not supposed to brush it out either, again oopsie! As I'm sure you can tell I'm not a hair expert at all, but I hope that this helped a little and given you a little insight into the products that I like to use. I'd love it if you would like to watch my haircare routine video, it's probably the video where I'm most myself and not as nervous talking to a camera as I have been in previous videos! What are some of your favourite hair products? I'd love to know! If you haven't tried it already, I highly recommend the John Frieda Volume range, especially the shampoo. I notice a substantial increase in volume in my flat, lifeless hair! The conditioner is good too, not too heavy on silicones. 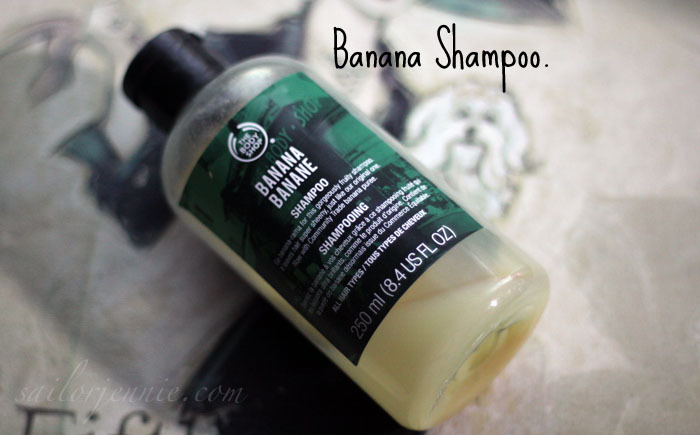 So glad Body Shop brought back their banana shampoo again, such a yummy smell! The banana shampoo sounds pretty good. Might go have a sniff! 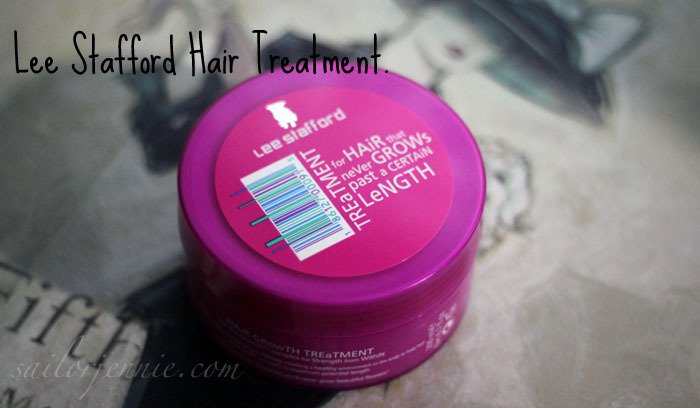 I love the Lee Stafford growth treatment, it smells so good that I'm not really bothered if it doesn't actually make my hair grow longer! I need to try his shampoos too. I love the smell of that TBS shampoo, tis lovely! I totally agree with you on backcombing, it's the only way to get reliable volume, with out all the faff! I think Ive tried every shampoo/conditioner claiming to add volume and every one has failed. Such a bummer.